Rubber has become an indispensable material in the manufacture of cars and machinery, as well as hygiene products and in the field of environmentally friendly technologies. There is hardly a material that has contributed as much to the progress of technology and modern industrialization as rubber. It has also led to revolutionary developments in many other fields and has become a standard feature of our daily lives. Today, rubber is an indispensable product with widespread applications, and this will not change in the foreseeable future. KRAIBURG is therefore committed to continuously develop new rubber materials. These efforts aim at responding to the changing demands of the market with creative solutions, meeting the ever more stringent requirements. For more than 65 years, KRAIBURG has been developing quality rubber compounds for a wide and versatile range of applications and products, meeting the specific requirements of its customers. Thermoplastic elastomers are as flexible as rubber (elastomers) and as easy to process as plastics (thermoplastics). 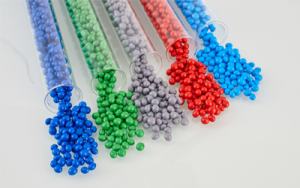 TPE thus combines the desired properties of plastics with the elastomer properties that are so important for product developers and designers. KRAIBURG TPE compounds are shipped in granule form ready for further processing. 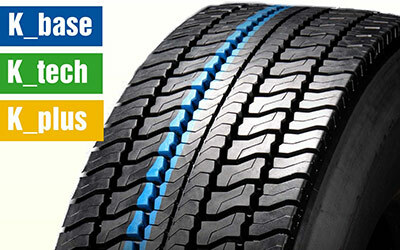 New life for tires – that is what we offer with our core business in retreading materials. KRAIBURG is the number one company in Austria and most other European countries. KRAIBURG provides the correct profile and optimized compound for any application, from car and truck tires to large tires, in both hot and cold retreading processes. As a specialist for retreading material, KRAIBURG Austria also produces compounds for earth-moving machinery tires. Thanks to its know-how, the company is one of the few producers who supply materials for all commonly used processes such as cold, hot and smooth&groove processing. The ERGOLASTEC sales area assists customers in all areas of ergonomics for floor systems, with planning and implementation of optimization measures for flooring in workplaces that involve standing and walking. 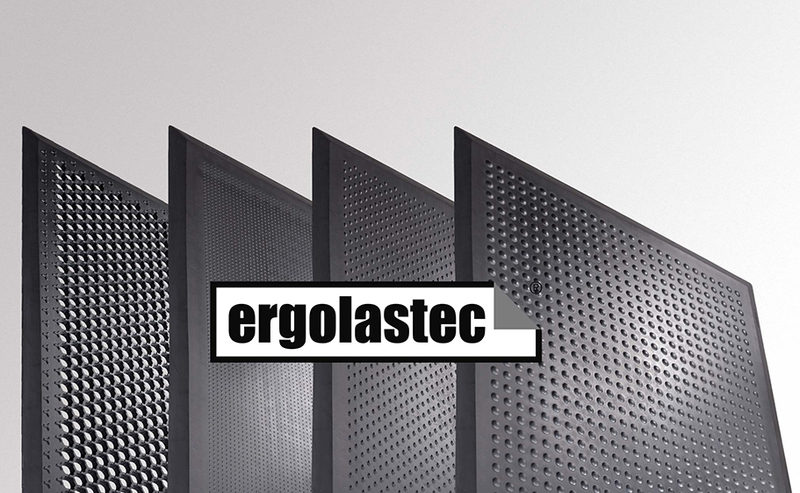 ERGOLASTEC workplace mats made of high-quality KRAIBURG rubber offer individual solutions for diverse industrial applications. KRAIBURG Relastec GmbH & Co. KG is one of the world’s most important and well-known specialists for the recycling of old tires and technical rubber compounds. Modern technologies and continuous new developments make them a competent partner for architects, planners and system suppliers. In order to close the “rubber cycle” KRAIBURG RELASTEC processes about 85,000 tons of recycled material every year for use in our high-quality products. In addition, KRAIBURG Relastec is one of the world’s most important rubber recycling companies. 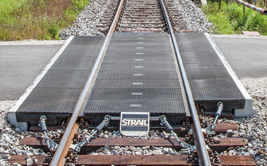 Over the last 30 years, STRAIL® level crossing systems have become a recognized brand among rail track builders. Together with the customers, the company developed a range of methods and materials that meet the latest standards of track construction. The STRAIL® range includes various quality level crossing solutions designed for different stress levels and budgets. All systems are designed to meet the customer requirements of safe, fast and easy installation and low maintenance costs. 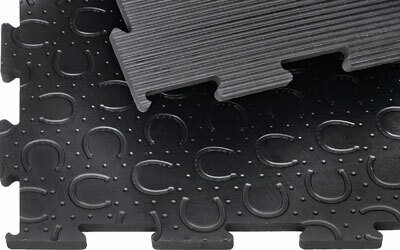 The rubber material ensures that road users can safely cross the track and significantly reduces the noise level. To the present day, more than 30,000 crossing systems have been installed under many different conditions in 50 countries. When opting for the STRAILastic range, railway operators can choose from a range of customized products for noise and vibration damping, including track absorbers, elastic track embedding systems and green track elements. In its dedicated production plant for rollers and roll coverings in Geretsberg (Upper Austria), KRAIBURG manufactures rubber-covered rollers for virtually every industrial application. Using internally produced compounds, the company equips rollers for a wide range of applications. 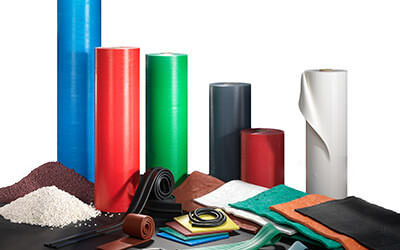 By bringing together its know-how in rubber processing, compound production and efficient quality-driven roller manufacturing, KRAIBURG can offer its customers tailor-made solutions to meet their specific needs.The specialists combine their wealth of experience with the results of the latest research to develop new roll coverings. Perfection and precision in manufacturing are the impetus and motivation of the roller production division, resulting in excellent products, smooth processes and satisfied customers. The range of products includes rubber coating of rolls and rollers, roller cores and complete rollers, rubber-coated sleeves, rubber hoses and polyurethane coatings. They are produced from recycled rubber in a unique process with low impact on the environment and natural resources. The animal-friendly, soft yet robust stable flooring systems are optimized for every requirement, to ensure increased well-being, productivity and commercial viability. KRAIBURG is one of the international leading manufacturers of innovative floor coverings. The products are tested not only in the in-house lab, but also in many test stables, by the animals themselves and by independent organizations. The DLG (Germany Agriculture Association, an independent specialized organization) has already distinguished many of the company’s products. Comfort for dairy cows is not just a question of animal welfare and health but also plays a significant role as regards the profitability of the farm: Soft floors that are similar to the open pasture help cows develop normally and enhance their health and milk yield. The many years of experience make it possible to develop products that are specially optimized for diverse applications, whether for dairy cattle, young cattle, bulls or also for swine. Their use minimizes the need for straw, reduces costs and shortens work hours – leaving more time for the horse! The improved non-slip surface supports the animal’s hoof mechanism. The thermally insulating effect of rubber reduces muscle strain, rheumatism and stiffness. And: the sound insulation provides for a calm atmosphere in the stables! 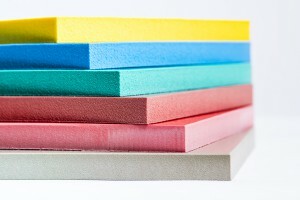 High-quality raw materials are used to create innovative formulations from the fascinating and versatile material polyurethane, or PUR for short. State-of-the-art production processes and the know-how of our experienced employees are the guarantee for a fast and flexible response to the requirements of the market. Stringent quality testing processes ensure the consistent quality and color of the approximately 10,000 products that we manufacture every day. Whether for passenger cars or any other type of vehicle – Dipointegral provides custom-fit solutions made of soft structural foam for the automotive industry. Dipoelast offers an effective solution for structure-borne sound attenuation and vibration damping. The active working floor mat system reduces the strain by up to 60 % and the non-slip surface contributes to safety at the workplace. 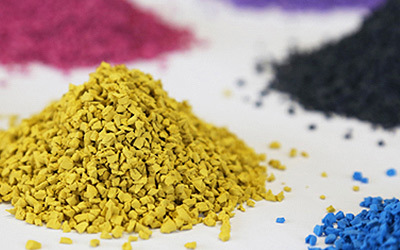 With its many years of experience, dedicated research and unique production methods, GEZOLAN can offer the market EPDM rubber granules that are used worldwide in high-quality products. GEZOLAN AG has established itself as an international quality leader and competent supplier of EPDM granules. 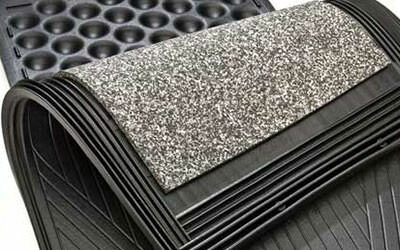 GEZOLAN produces EPDM rubber granules for synthetic flooring but does not manufacture floor coverings and systems. The EPDM granules are just one ingredient that is combined with polyurethane bonding agents or coatings to produce synthetic floorings with specific properties. As a Swiss quality product, GEZOLAN EPDM rubber granules thus meet the highest quality standards. The elastic GEZOFLEX EPDM rubber granules are used in a range of leisure facilities, such as athletic tracks, sports facilities and playgrounds as well as in safety and impact protection systems and other covering solutions that are cast on site. When developing GEZOFILL, the company’s focus was on the key quality properties such as low impact on the environment, optimized bulk weight, uniform rubber quality and balanced grading curve. GEZOFILL granules are available as compact or foamed granules and are primarily used in artificial lawns due to their optimal properties as scatter granules. Fiber reinforced plastics (FRP), especially the high-tech material carbon, are experiencing very high growth rates. The forces acting on the “material of the future” are absorbed primarily by the fibers. These fibers can withstand especially high loads longitudinally, although they are relatively intolerant to lateral strains, such as impact from a stone. 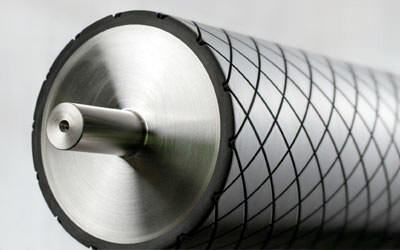 This is exactly where KRAIBON® comes into the picture: by integrating KRAIBON® in the composition of Fiber reinforced plastics it is possible to achieve an alternating structure of hard and soft material that combines the good mechanical properties of the FRC with the good “elastic” properties of the elastomer. The main areas of application are for improving acoustics and for impact and splintering protection. The decisive advantage is achieved by direct integration of the elastomers in the normal manufacturing process for FRC components without additional bonding agents. This innovative technology is used specifically in industries such as automotive construction, aeronautics, rail vehicles and medical technology. 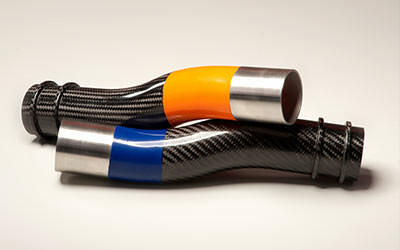 Huge success has already been achieved with KRAIBON® in motor sports and in sports cars and super sports cars.